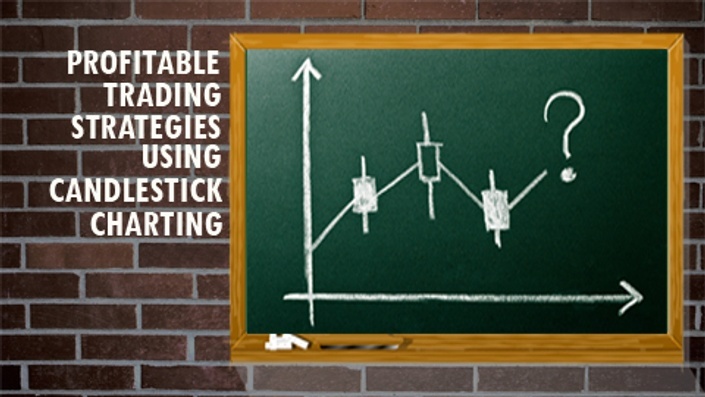 This is a comprehensive and complete course on the nature of candlestick charting. The dozens of illustrations include each type of candlestick and what it reveals; reversal and continuation signals; and more. Each section concludes with a self-test and a certificate is issued at the end of the course. The course is designed for all of those intent on improving their ability to read price charts. This includes experienced traders who have not yet developed an effective method for using candlestick signals in their own trading program. The candlestick has become the default format for chart analysis; however, many traders have only a rudimentary understanding of what each candlestick and group of candlesticks reveals. In fact, as this course demonstrates, it is possible to anticipate price reversal or continuation by locating applicable signals for initial and confirmation signs, and as a result, to improve timing of entry and exit. By the conclusion of this course, you should be able to locate actionable candlestick signals, better understand what is likely to occur next, and combine candlesticks with other technical signals to forecast price movement. This short novel covers the adventures of a mentor and his protege, as they explore the world of options. 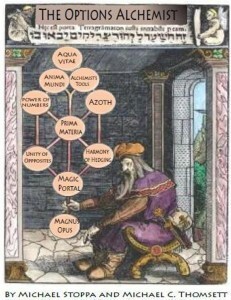 Each lesson is cloaked in a concept of alchemy, with a related options observation. The story unfolds over many years as the younger man learns from the master. At the end of each chapter, the key points are summarized and the true meaning of alchemy is translated into wisdom about options trading. 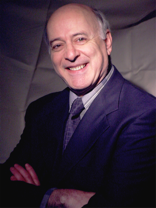 Michael C. Thomsett has written dozens of books, specializing in technical analysis. He has written three books on the topic of candlestick charting ( Trading with Candlesticks, FT Press; Profiting from Technical Analysis and Candlestick Indicators, FT Press; and Bloomberg Visual Guide to Candlestick Charting, John Wiley & Sons). Thomsett also publishes extensively on the topic of options trading, trend analysis, and other technical subjects. 1. Why and how this course will help both beginners and experienced investors in generating wealth? The essential information about candlesticks is designed to identify specific patterns in price, and their meaning in terms of likely trend development. Trends may continue or reverse, and dozens of candlesticks distinguish these trend patterns In addition to the specific patterns that candlesticks present, they are valuable as confirmation tools for other traditional technical signals. These include well-known signals like double tops or bottoms, head and shoulders, price gaps, and moves above resistance or below support. 2. What is the basic advantage of the candlestick? Signals come in many shapes and sizes. However, when a signal occurs in close proximity to resistance or support, the candlestick is especially worth paying attention to. At these proximity levels, reversal is at its highest likelihood. However, if price moves through these boundaries and is confirmed by continuation candlestick signals, then a new trading range is also strongly forecast. Candlesticks offer an advantage over other technical signals. The combination of a daily trading range represented by the size of shadows, with the breadth between opening and closing prices represented by the real body, present a compelling visual summary of the nature of current price movement and likely next step. 3. What if I am unhappy with the course? 4. What evidence can you offer to explain how candlesticks are so successful? I conducted a two-year study in a virtual portfolio, based on options trades and with timing relying on candlestick reversal and continuation signals. This study was extensive, with 578 trades opened and closed. Of those, more than 91% were profitable. And the average rate of return was 35% per year. An assumed portfolio of $100,000 grew by more than $75,000 in this experiment. The details of this, accompanied by the theory behind it, relied on the strength of 10 highly reliable candlestick signals and confirmation. It is documented in a paper being published later this year, “Signal correlation applied to charting techniques: Conditions to generate consistently profitable trades.” This is being published in the peer-reviewedJournal of Technical Analysis (JOTA). 2. You will get a great bonus book -- The Options Alchemist -- for free, just for checking the course out.